Welcome to my websiteSolely dedicated to ResidencyOnly facts that you need for your decisionConflict of information elsewhere? This site is guaranteed correct as of today.Just read me........Then contact me......I don't bite It`s as simple as that!! All the very best for 2019, my name is Jane Whittaker and I am sole proprietor of an Andorran registered Gestoria J W Serveis that specialises in relocation and residency applications. I am an Andorrana but was born in England. Over 33 years ago I fell in love with my ski instructor on a week's holiday and have been living in Andorra ever since and have two wonderful sons, a fairy tale movie perhaps! But enough of that, lets get down to how I can help you. I have been involved in Government administration for over 30 years and this my very own website is now more than 10 years old, being the foremost independent site that prioritised the residency process. There are now many other sites offering information on all aspects of Andorra, this one concentrates solely on the residency process, the reason why you are reading this! Some years ago I realised that there was little or no up to date information on Andorra residency out there on the internet other than international or internet based organisations so I put together this website to inform you personally about Andorra and all the advantages that becoming a resident confers. The response has been one of gratitude really, from Australia to UK, India and all parts of the globe and the main thread of this feedback is “I didn't know Andorra had all this to offer" and "I had heard of Andorra but didn't really know where it was". With three fixed appointments minimum per week at Immigration, I have over the years built up a wealth of experience and knowledge on relocation to Andorra. Every year the rules, regulations, categories of residency become ever more complex and this website keeps you informed as these changes happen. Most of the other websites on this subject are simply out of date and can be misleading and I personally guarantee that website is updated on an almost daily basis. Jane Whittaker said " Families come here for the schooling, where children learn Spanish, French and Catalan. It´s a lovely place to bring them up, no crime...The lack of information about living and buying property there led her to start a relocation and residency agency..
My website has that proven personal touch not an international chain, blog, or a Caribbean based expat forum, I live here and have built up over the past 33 years extensive contacts both in Government, banks, local estate agents to name but a few. I have successfully relocated many individuals and families from all parts of the globe and am fully versant with the documentation required and have an in-depth knowledge of the Government procedures. I would love to help you to settle in this country and I can make your Andorra residency card as painless as can be. I can assure you now that enjoying the benefits of Andorra is just a click away without any obligation and if you decide to proceed I am here personally to help you through the application process. 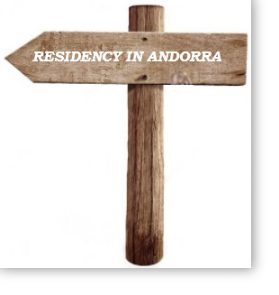 If your objective is to apply for Andorran residency this can be your new Andorra residency card. Maybe you have not considered Andorra before? Then read on as this site is solely dedicated as a personal guide for you and your family to start a new life in Andorra. Copyrights J W Serveis 2019. Or if you are just interested in property for investment or a ski holiday home near the pistes, let me act for you and weed out the suitable properties for you to view with a local agent. Post Application" services not only to see you through the period of settling in, but also to look after all your residential administration, registration, mail, property maintenance requirements and of course the renewals on the due dates. Without any obligation I can advise you right now on any subject relevant to Andorra, and if I don't have the answers I will find out for you the same day. 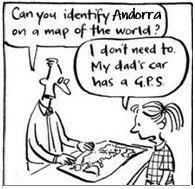 Whether it's about moving to Andorra, the minefield of categories, a holiday home in the ski resorts perhaps, advice on tax issues, importing cars, starting a business and any other personal questions you may have. You can telephone me directly on + 376 836255, or e-mail me on residency@livinginandorra.com no filling in boxes to an anonymous website, or clicking on annoying ads, just ask me, I don't bite!! OK, so I want to explore a little further, where do I start ?